Our books are more than just recipes; they are the stories of Australia's regions. Working with chefs and producers, we were struck by just how interesting and diverse these stories were. 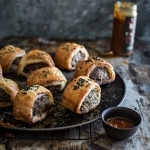 Alongside the recipes featured in our regional cookbooks, we have released a series of podcasts that take you into the kitchen of the chefs who created them. We are also proud to produce The Gong Show, a celebration of the passion and perseverance of Australia's food community. Tune in as we interview culinary personalities about the issues that matter to the vibrant and sustainable future of food. Our podcasts are available here on the website, or you can subscribe to the Quicksand Food Connection on iTunes, Stitcher and Soundcloud and get the latest delivered straight to your phone. 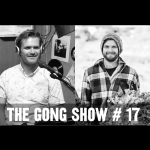 Stef and Simon chat with Musician, Radio Presenter and long time vegan Lindsay McDougal about his journey into veganism, vegan culture and activism, farming practices and pragmatic and ethical approaches to food consumption. 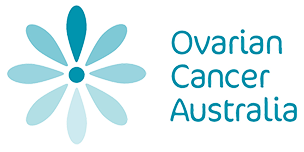 An interview taken from Stef’s VOX fm Illawarra, Community radio show “Food for Thought”. 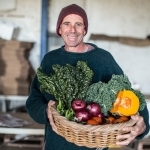 Stef chats with farm manager of Green Connect in Warrawong – Cal Champagne about permaculture, sustainable food, consumer choice and dollar milk. 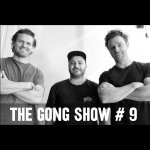 Stef and Andy chat with Phil Lavers from Moonacres Farm in Fitzroy Falls about beginning an organic farm, finding a market for premium vegetables through farmers markets and direct relationships with chefs, and broccoli sandwiches. 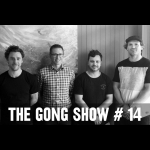 Stef, Andy & Simon are joined by Alex Hains from The Illawarra Shoalhaven Suicide Prevention Collaborative to chat about mental health issues in hospitality. We chat about the kitchen environment and habits and culture developed in the hospitality industry, how these things can affect mental health, and strategies that can be used to keep a healthy mind in the kitchen. 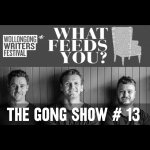 The Gong Show #13 – Wollongong Writer’s Festival: What Feeds You? 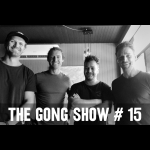 On the 24th Of November, Stef, Andy and Simon sat down for a live podcast at The Wollongong Writer’s Festival. This years theme was “What Feeds you?” We talk about what feeds chefs in terms of creativity and inspiration in all facets of the industry, and what nourishes chefs to keep them pushing forward in a challenging industry. Andy, Stef and Simon are joined The Throsby’s head chef by Jimmy Butcher to discuss progression and tradition in cooking. At what point does a chef take a dish away from a traditional one, to something new and different. 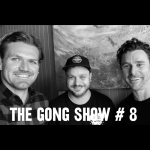 Stef also gives a wrap up of his trip to Europe and we talk about Jimmy’s new initiative to provide a platform to hospitality workers to be able to discuss mental health and workplace issues. Stef, Simon and Andy sit down to catch up on all the subjects discussed in previous podcasts. We share new thoughts and discuss recent developments in some of the subjects covered. 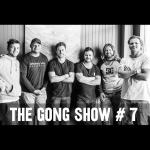 Also some chat about food around Wollongong and what’s Coming up for the Gong Show. 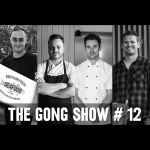 Stef, Simon and Andy are joined by chef Jesse Alamedeen from His Boy Elroy to chat about all the positives of working in the hospitality industry. 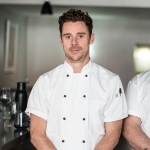 We have a call in with chef Adam Bantock from Clementine Restaurant in Yass who shares his thoughts after 26 years as a chef, and we discuss thing like camaraderie, social positivity, personal development, travel, dynamic work environments and other positive stuff. 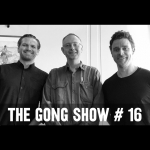 Stef, Andy and Simon chat about environmental conscience in the hospitality industry. We talk about the problem, risks and opportunities for businesses, strategies, consumer expectation, and engaging with local government. 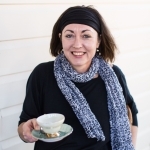 We have NSW Greens policy advisor Jack Gough call in with his thoughts and info and Emma Huber from Wollongong venues Miller’s Local Bakehouse and Sandygoodwich tells us about her experience of the challenges of being an environmentally responsible business owner. 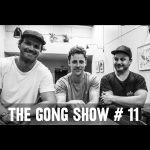 Andy, Stef and Simon chat about online reviews and how they affect chefs, business owners and the hospitality industry. For show and tell we each bring in two of our favourite cookbooks and chat about how they have shaped our approach to food. For a special very episode we sit down with the crew from Something Wild Australia. 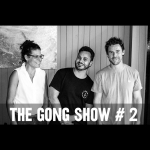 Daniel Motlop (Owner) and Shannon Flemming (Chef) chat about Australian native foods, indigenous food culture and the role Something Wild plays in employing indigenous communities to harvest native ingredients which are sold to Australia’s best restaurants. 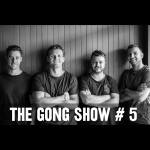 The Gong Show Episode 6 – Women in hospitality podcast takeover. 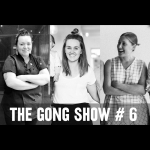 Wollongong Chef Kayla Mclelland & business owners Maddie Sullivan & Gen Degregorio takeover the podcast this week for a chat about their experiences, mentors and a range of issues facing women in hospitality. Please enjoy this special episode. Andy, Stef and Simon are joined by chef Tom Chiumento from Caveau to talk about wild food of the Illawarra. We discuss the diversity of The Illawarra’s wild ingredients and show and tell some of our favourites. We chat about accessibility to the public, resources, identification, safety, seasonality and habitat. 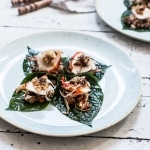 In a bonus segment Simon cooks up foraged food recipe of pine mushroom and saltbush broth with barramundi and wild greens and flowers. Stef, Andy & Simon chat about how poker machines are affecting small business and hospitality in NSW – we have a call in from our friend Emily, a policy adviser in NSW parliament to help us navigate the issue. Stef also brings along his spearfishing equipment for show and tell and we chat about the chance individuals have to sustainably harvest seafood. 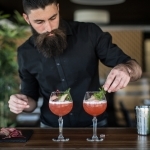 Stef Posthuma, Andy Burns & Simon Evans are joined by Luke Symons from Howlin Wolf Bar, and make a call to Ane Glahn-Bertelsen to discuss liquor licensing issues in Wollongong. Simon also brings along his favourite canned wine for show and tell – we taste them and give our honest assessments. 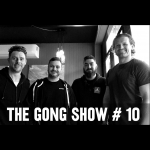 The Gong Show Episode 2 – Stef, Simon and Andy are joined by Emma & Yon from Sandygoodwich to talk about the reasons behind their decision to close. 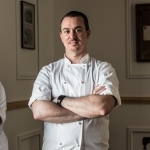 Simon brings in some fresh muntries from the kitchen at Caveau for Show and Tell and we chat about the increased use of native and indigenous ingredients in Australian restaurants. 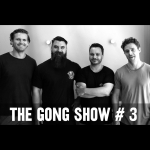 The first Gong Show! 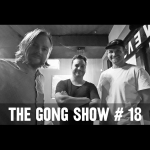 Stef, Simon and Andy introduce themselves and talk about the number 1 Hospitality issue of 2017 – The underpayment of young staff in Wollongong. Andy brings in Queen Scallops from Kangaroo Island for show and tell. And the guys give a wrap of their businesses for 2017. 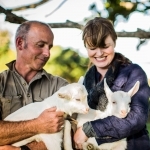 Stefan Posthuma chats with Fiona and Adam Walmsley about the different facets of Buena Vista Farm, engaging the community, the difference between product and service based business and Adam’s love of donkeys. 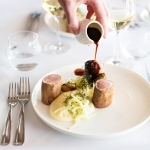 Stefan Posthuma chats with Harbourfront chef Andy Mcormack and Levelone Manager Tim Day about the process of running a large, multifaceted venue, fresh seafood, and the evolution of Wollongong hospitality. Stefan Posthuma chats with Ciara and Bianca from Earth Walker & Co about the challenge of trying to source only local, sustainability and the opportunities for the modern general store. 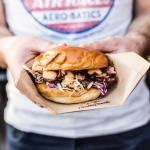 Stefan Posthuma chats with 2 Smoking Barrels owner Andy Burns about the realities of running a food truck and the logistical challenges for operating in numerous locations. 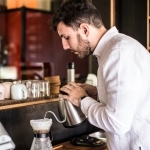 Stefan Posthuma chats with Andy Burns about coffee culture in Wollongong and the food and coffee at Son of a Gun. 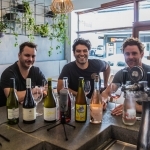 The Throsby wine bar – the wine tasting podcast. 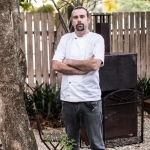 Stefan Posthuma joins The Throsby owner Erick Zevallos, Caveau chef/owner Simon Evans, Babyface chef/owner Andy Burns and manager David Pearce. 6 wines tasted, fun ensued. Stefan Posthuma chats with Mountain Range Farm owner, Lance Carr about community farms and the history of the Mountain Range property. Stefan Posthuma chats with Delano manager Boris Georgiou about the world of coffee and how to keep quality with scale. 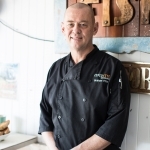 Stefan Posthuma chats with South Sailor chef/owner Graham Ette about South Coast seafood, processing whole fish and using them for poke. Stefan Posthuma chats with the team from The Postman’s about their menu development, food in thirroul and making use of Illawarra produce. 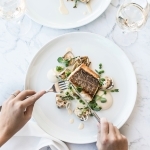 Stefan Posthuma chats with chef/owner of Bill & James – Aaron Anderson about seasonal menus and income streams for cafes outside day trading. 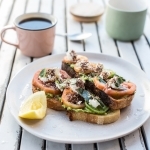 Stefan Posthuma chats with Franks and Beans chef/ owner Peter Padlan about suburban cafes and poaching perfect eggs. 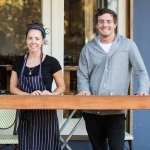 Stefan Posthuma chats with Flour, Water, Salt owner Kirsty Hilkemeijer about their concept, food around Kiama and sausage rolls. Stefan Posthuma chats with Ruby’s chef/ owner Scott Woods about his menu, the history of the heritage building and his journey from dishwasher to Chef/Owner at Ruby’s. Stefan Posthuma chats with Dagwood manager Byron and Chef John about creating atmosphere in a bar, cocktails, and the LA street food inspired menu. 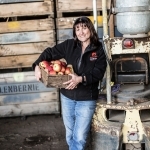 Stefan Posthuma chats with Glenbernie orchard owner and farmer – Jo-Anne Fahey about generational farming, value adding, cider, and public engagement. 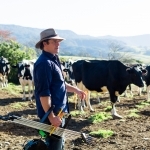 Stefan Posthuma chats with Pines owners Mahlah and Kel Grey about the challenges of commercial dairy farming and the re-direction to micro dairying, local supply and value-adding. 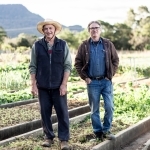 Stefan Posthuma chats with Mahbrook Organic farmer Chris Bridger about the challenges of organic farming and the realities of being certified. 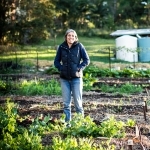 Stefan Posthuma chats with Popes Produce market gardener Sarah Anderson about backyard market gardening in Wonoona. 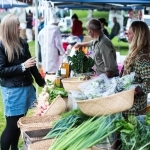 Stefan Posthuma chats to Kiama Farmer’s Market organiser – Trish Ashelford about the importance of a farmer’s market community and her favourite seasonal produce. Stefan Posthuma chats with Hidden Harvest founder – Berbel Franse about food waste and empowering individuals to make small changes. 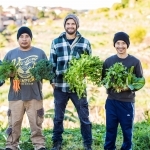 Stefan Posthuma chats with Green Connect farm manager Callum Champagne about the green connect concept, social enterprise and providing jobs to refugees and disadvantaged youths. 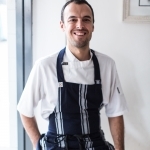 Stefan Posthuma chats to Samuels chef and manager about the changing food scene in Thirroul and the changing demographic of the Illawarra. 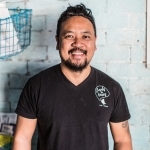 Stefan Posthuma chats with Balinese Spice Magic chef and owner Juliana Mitry about being the only traditional Balinese restaurant in the Illawarra. 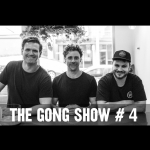 Stefan Posthuma chats with Blue Swimmer owner Dan Dewhurst and chef Lauren Brown about the Gerroa community, meeting and connecting with suppliers, and harmony within a hospo team. Stefan Posthuma chats with Babyface chef and owner Andy Burns about his menu, natural wine and the importance of front and back of house communication. 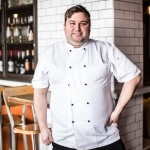 Stefan Posthuma Chats with chef and owner of Rookie – Dan Sherley about Rookie’s developing identity and how to develop a relationship with your fish monger to become a better cook. 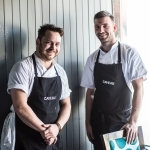 Stefan Posthuma chats with chefs and owners of Caveau in Wollongong – Tom Chiumento and Simon Evans about their menu, their local suppliers, foraging, food in the illawarra and chicken parmigiana. 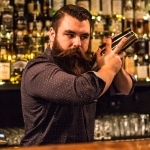 Stefan Posthuma chats with Howlin Wolf owner Luke Symons about old fashioneds and a night on the town in the gong. 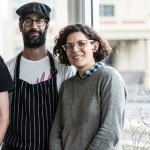 Stefan Posthuma chats with Sandygoodwich owner Emma Huber about OCD croissant making and the challenges faced by staff & owners in hospitality.